This practical and hands-on training will provide you with the direction you need in order to deal with one of the major challenges of the modern workplace …… How to cope with the massive volume of e-mail communication that assails us on a daily basis. The result for many people is they become overloaded and overwhelmed ! 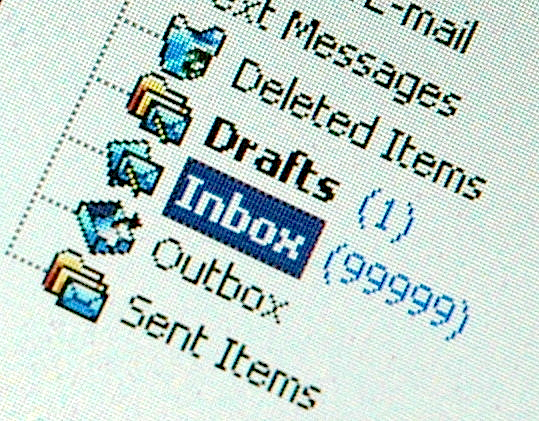 Further compounding this problem is that may people in today’s workplace have not received adequate (if any) email management training. How does your organisation measure how effectively your people currently use e-mail? One of the first steps is to complete an audit that will give an accurate ‘snapshot’ of the current issues, measuring and highlighting the key areas that need to be addressed. A half-day training workshop for a group of up to eight people, that provides a range of highly practical and easily implemented ‘best practice’ e-mail and information management strategies that will significantly reduce the amount of time spent in reading and handling e-mail. Participants bring their laptops and receive “hands-on” no-nonsense practical training that will help to improve their personal productivity by clearly showing them …..
How to set up rules, filters and folders in Outlook that will enable them to more efficiently prioritise, store and retrieve their email. As a guide to cost, the half-day on-site training session in Melbourne, delivered for up to ten participants is around $2,250 + gst. The training has also been delivered in Sydney, Brisbane, Adelaide and Canberra – and in regions around Victoria – travel expenses are an additional cost.